Power amplifiers are a crucial part of any RF design. These essential components get the RF signal to the right power level for transmission and strength the receiver needs for recognizing and decoding the signal. Various applications from low noise amplifiers often used at receiver frontends to high power amplifiers used at larger broadcast systems face challenges such as signal distortion, power consumption, and a variety of measurements and reruns. Rohde & Schwarz solutions support you to verify your design with unmatched RF measurement performance, dynamic low level power consumption analysis, and high test speed. Dual Input Doherty Amplifier architecture enables RF PA designers to maximize efficiency, power, bandwidth and yield without compromising linearizability. 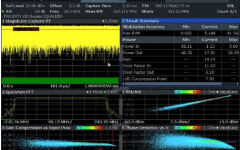 Whether it is for 5G, SatCom or any other application demanding high performance and reproducibility, the challenges remain the same: how can you be sure that you are getting the maximum possible performance from the design and how can you evaluate its sensitivities and variations for series production? Speed up development, verify best performance and start up series production with confidence. Doherty designs achieve high efficiency, greater linearity and increased output power. An ever-increasing requirement for data on mobile networks, driven by a myriad of applications from HD video on the move to autonomous vehicles and Industrial IOT, means a part of the new 5G network is to be deployed at mmWave frequencies, with a 26 GHz pioneer band defined for the UK between 24.25 - 27.5 GHz. The R&S®FPS-K18 amplifier measurement option in combination with the R&S®FPS signal and spectrum analyzer and the R&S®SGT100A SGMA vector RF source enables high-speed amplifier characterization. 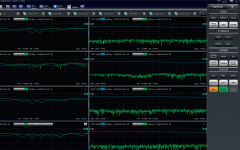 The R&S®ZNB vector network analyzer is easy to configure and calibrate using the built-in intermodulation wizard. Its excellent realtime baseband performance in combination with its ability to easily import the scattering parameters of an active/passive twoport interconnection network via s2p-files make the R&S®SMW200A vector signal generator ideal for high-precision RF and microwave tests requiring deembedding of the device under test (DUT). The R&S®FSWP phase noise analyzer is a highend instrument designed to accurately analyze noise performance of key components in radar and communications systems. Using phase noise measurements, a device’s large-signal noise figure can be derived under real-world operating conditions. Analyzing RF pulses is a key aspect of pulsed radar applications, e.g. in air traffic control (ATC), maritime radar or scientific measurements of the ionosphere. It is essential to analyze the pulse envelope in the time domain because it contains important information needed to characterize the application. The R&S®RTO digital oscilloscope is a very useful measurement instrument for analyzing pulse characteristics.